These are photographs of aliens and predator Art. 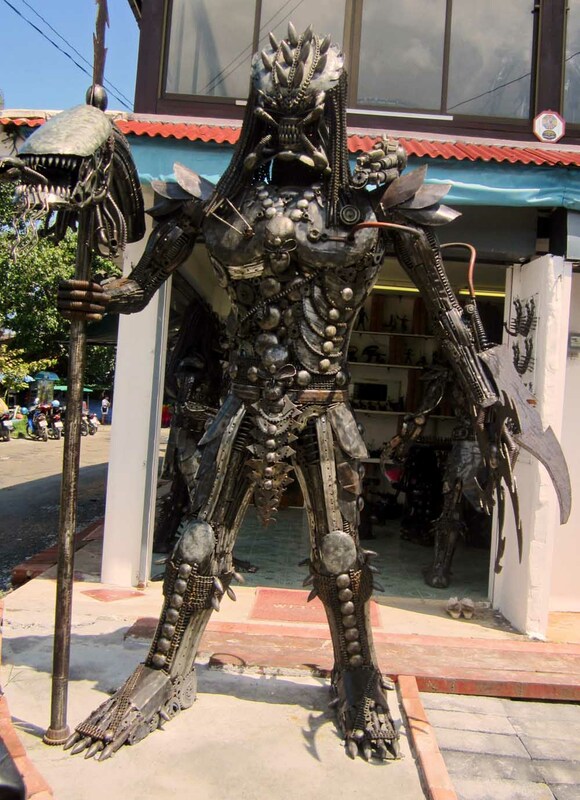 These metallic pieces were on sale in a shop on the island of Koh Sumai in Thailand. There were a lot of metallic art inside the shop but photography was not allowed. 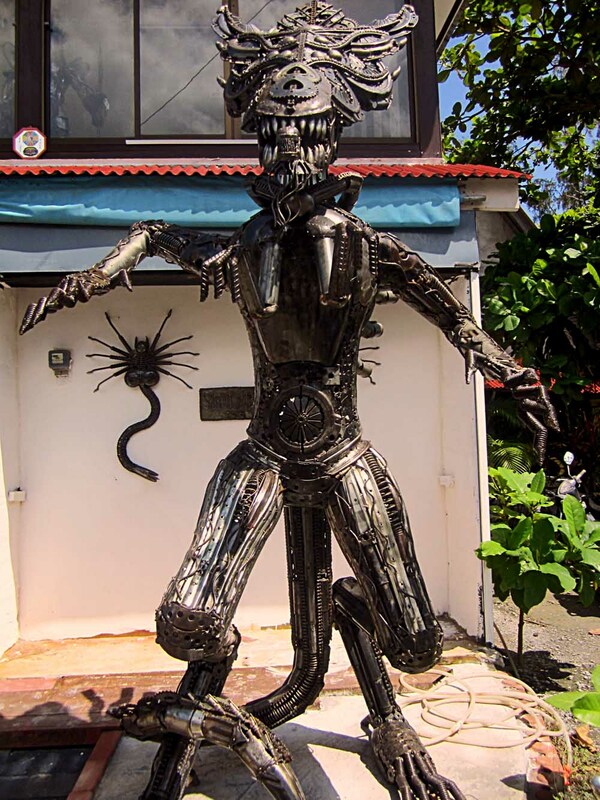 This metallic monster lookssomething like the alien from the movie "Predator"